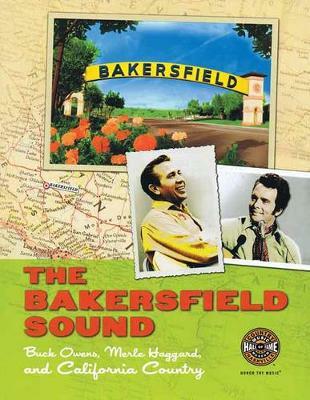 Nestled at the southern end of California's San Joaquin Valley, the city of Bakersfield is best known for farming, oil fields, and a unique brand of country music called the Bakersfield Sound. The term is generally used to describe a hard-edged honkytonk sensibility characterized by sharp, twanging Fender Telecaster guitars, crying pedal steel, and straight-ahead country vocals - a sound that thrived in Bakersfield clubs in the 1950s and '60s. The music emanating from these venues was by no means homogeneous. One need only compare Buck Owens' razor-sharp honky-tonk attack with Merle Haggard's western swing and blues-inflected recordings to recognize that there is no single Bakersfield Sound. The label is best understood as an umbrella term encompassing a number of strains developed by Haggard, Owens, and their West Coast contemporaries. "The Bakersfield Sound" is a full-color exploration of what social and economic factors led to this country music hotbed, as well as a look at the many stars who rose to fame with roots in Bakersfield. Country luminaries with ties to the area include Bob Willis, Leon Payne, Jean Shepherd, Dallas Frazier, Bonnie Owens,Barbara Mandrell, and Ferlin Husky. Written by the experts at the Country Music Hall of Fame, degree "The Bakersfield Sound" describes with rich words and classic photos how the deep roots of the Bakersfield Sound are so much more than just a reaction to the pop-oriented Nashville Sound. Publisher: Country Music Foundation Press,U.S.